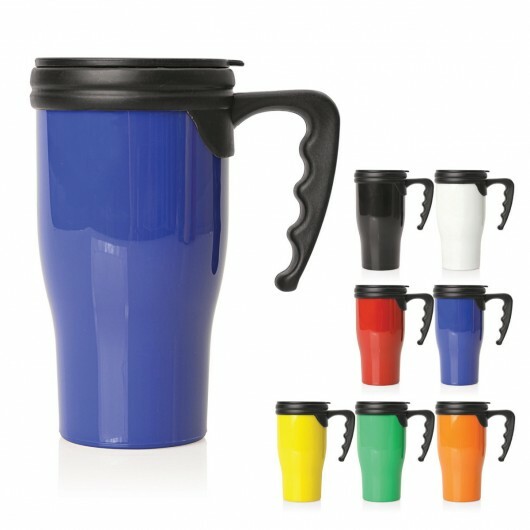 Get your logo seen on these colourful plastic travel mugs! 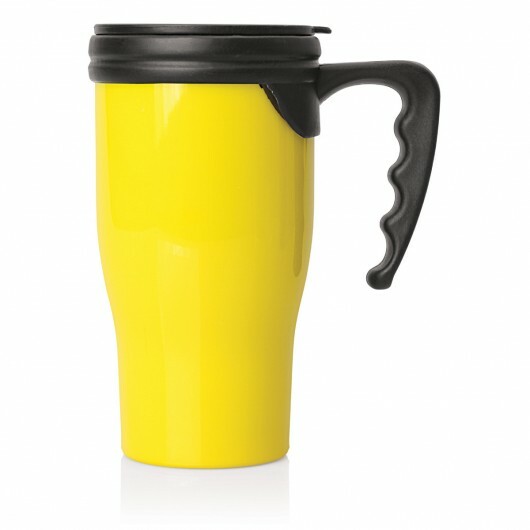 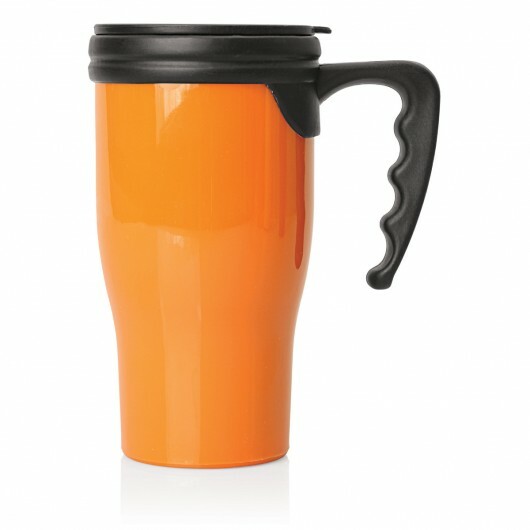 These traditionally designed plastic thermo travel mugs are a unique way to add a splash of colour to your day. They have a double wall build that keeps drinks warm or cool for longer and are 100% BPA free. They have a capacity of 475mL capacity and host a black plastic handle and splash-proof lid.